None of my great-grandparents were born in the USA and only one of my grandparents was. Why did my ancestors come here? What does this day mean to us? Does the next generation take the freedoms here for granted? 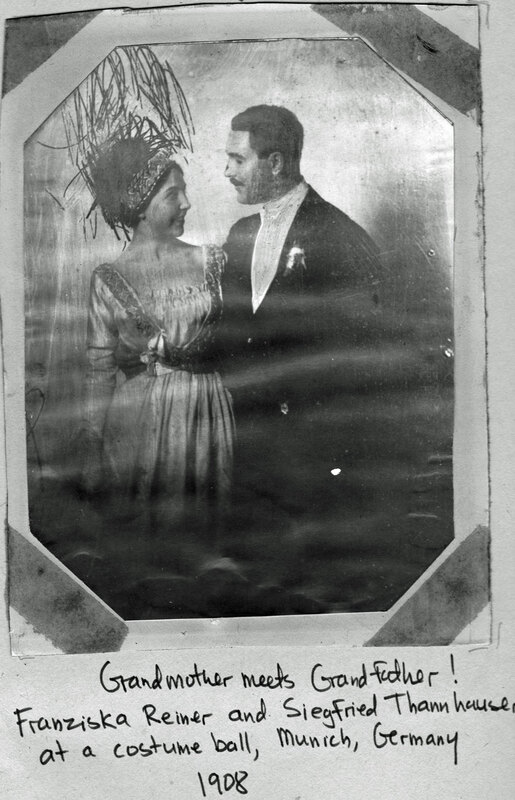 I think I often do, but today I want to celebrate this great country that my immigrant ancestors came to with this blog post about my grandparents and how it happened that they became Americans. My mother was born in Munich, Bavaria (Germany) to a Jewish father and a Catholic mother. I was always told that they met at the 1909 automobile club ball in Munich, but I found this picture with the caption 1908 costume ball so I guess they met a year earlier than I had realized. For my Opa it was love at first sight, but neither family approved. Siggy and Fanny went to concerts, the opera, and hiked together in the Bavarian Alps. The courtship lasted for over nine years. First my Opa had to get his doctorate since his father refused to support a wife and family for him. Then there was World War I where he served as a medical doctor. 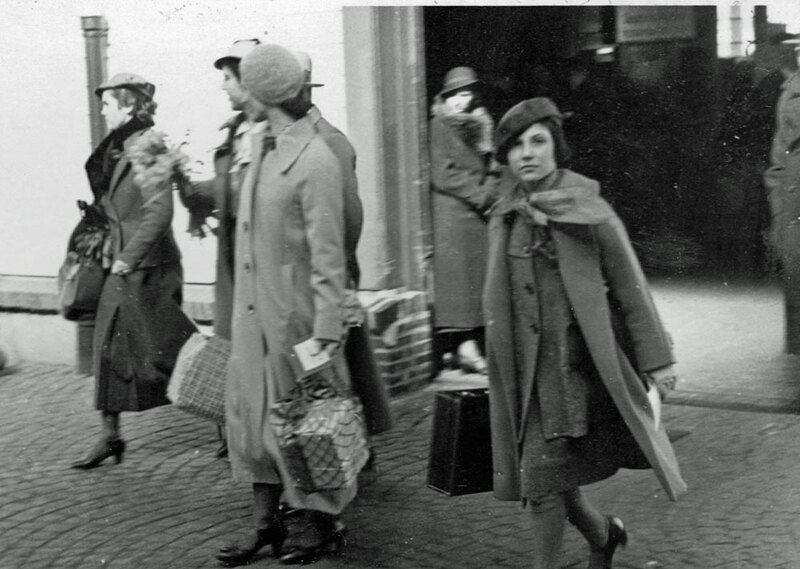 Additionally Fanny had a small TB spot on her lung so she was sent to a sanitarium and then, before the war, au paired in France and the Isle of Wight, since she was advised not to winter in Munich. Her resulting fluent English (and French) was most useful later on. 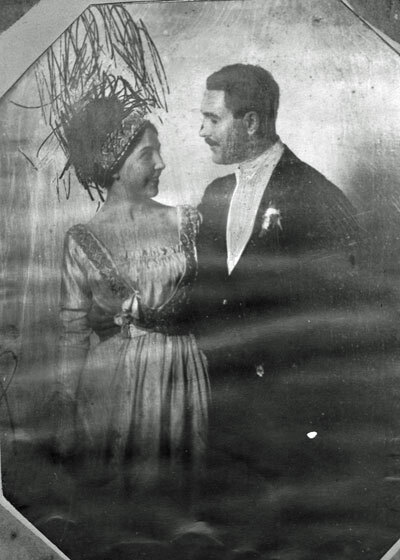 When Siegfried’s father, my g-grandfather Josef, was diagnosed with stomach cancer in 1917, he finally gave his approval for them to marry, which they did in a civil ceremony a year later. Her parents did not attend. By the way, Josef died from the anesthesia during his operation in 1917, not the cancer. Because my Opa was Jewish, he was dismissed or rather pensioned off from his Freiberg University professorship in 1933/1934. My grandmother was the one who insisted that they leave Germany; Opa, like many German Jews, thought it would all blow over. My Oma was not willing to risk the lives of her three lovely daughters when the family had many offers from overseas universities. Was it close between Ankara, Turkey; Tufts in Boston; and Duke in the South? My grandmother chose Boston. She liked big cities. So my grandfather at the age of 50 had to learn a new language and to some extent relaunch his career. In Germany, much of his income was from his private practice, particularly foreign patients who paid with gold dollars. Thus the massive inflation of that time seems not to have affected our family, but he would have to rebuild his private practice in Boston. They left in 1935 with most of their possessions. There is a lovely family story that when the official looking through the books in order to assess the emigration fee asked where all the money had gone, my Oma batted her big blue eyes and said “Och my husband asks me the same question.” She was able to negotiate that the prohibitive tax levied on Jews leaving Germany would be paid from Opa’s pension, which he could not take with him anyway. But it was difficult for my mother and her family none the less. All my life my mother told me that “They can take away your money and your land but not your degrees.” The lesson was to get a good education so as to be able to move countries as easily as my Opa did. My grandfather was able to help many relatives leave Germany who often lived initially in the Ivy St house. But when the war was over, the truth came out about what had happened to the Jews, some of whom were our relatives. My grandfather never returned to Germany although he was offered professorships and many other honors. He had considered himself a German and had loved the cosmopolitan Munich of his youth. Now he was proud to be an American and to have nine fully American grandchildren. very interesting Kitty. I love these stories. Thanks my friends! I love how in love my grandparents are in that photo of their first meeting at the ball. The great picture Kitty! My great grandfather Julius Bonnet 18 came from Germany in 1872 alone. Made his way to Pike county Illinois as a farm hand. Julius was the latest immigrate of my ancestors to this country! Happy 4th of July to us all. Lovely, Kitty, that you have these photos, their stories, and history. Wow, thanks for sharing. And God bless America. Happy Independence Day Weekend, everyone. This was beautiful. Thank you for this.